There are so many creative and incredible content producers on youtube. 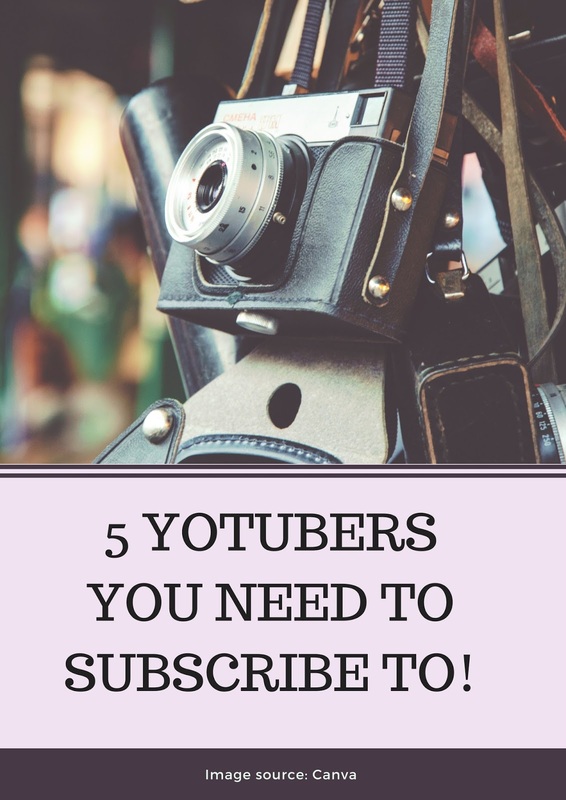 As a blogger, I personally must confess that I watch a lot more youtubers then what I care to admit. I watch all kinds of videos from cooking to beauty, travel, and vlogs everything is up my alley as long as it is done with love and passion. Today I'm going to share five of my personal favorite creators, I hope you like it. Even tho I am the worst drawer in the world I love to Bullet Journal and Amanada RachLee is the Queen of the BuJo community (at least in my opinion). 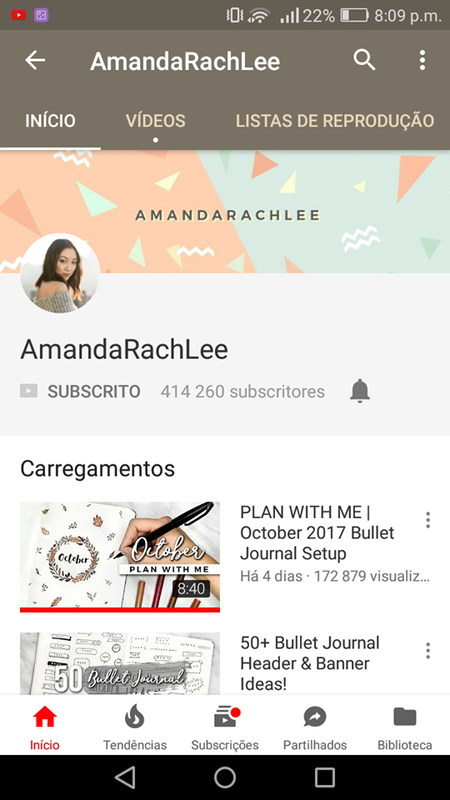 I love to watch her Plan with me videos, they are really well filmed and edited and super inspiring, also Amanda is one of the nicest persons out there and has a super cute bubbly personality that can bright anyone's day. 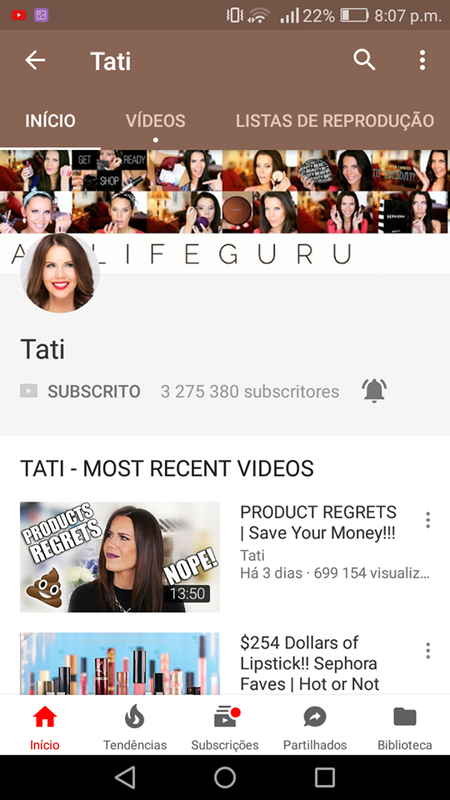 I've been watching Tati ever since I started watching youtube 5 years or something ago. She is an incredibly talented makeup artist who creates amazing, yet wearable makeup looks. She is the one who makes me want to try purple eyeshadow or bright pink mascara. She also has for sure tired every single makeup item you can think of and does super brutal honest reviews. I personally never buy a product without checking her review of it and 9 out of 10 times, if she likes it, I like it too. I love to go for the motto if it's good enough for Tati it's good enough for me. There are various reasons to love Raquel Mendes. First of all, she is Portuguese like your girl over here, even tho she lives in London at the moment. I've been watching her videos ever since she started her channel back in 2015. I love her skincare videos. Once Raquel has a very blemish prone skin and deals with severe breakouts she knows a lot about skincare and its ingredients and I never miss a skincare video from her. Her foundation reviews are also amazing. Also, she has a great personality with a super funny and different sense of humor (which I consider to be very similar to mine). I don't even know where to begin regarding Kalyn Nicholson. I'm gonna say it: She is the most inspirational person out there. She makes me want to achieve my goals, go to the gym, meal prep and be productive all day every day. She has amazing editing skills and all of her videos remind me of 10 minute long movies. Kalyn has also an amazing music taste and I find myself listening to her playlists on Spotify all the time. 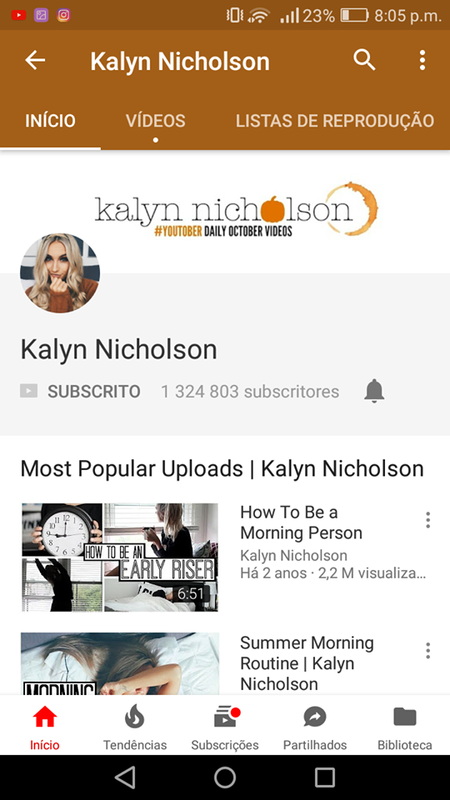 If you are going to subscribe to anyone on this list, make sure Kalyn is the one you chose! 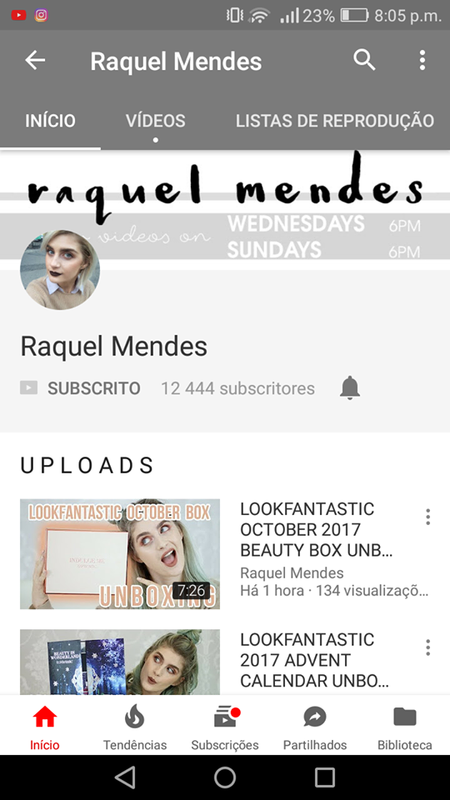 Also, she is doing YouTober in which she uploads a new video every single day during October, so this is the perfect month to subscribe to her! 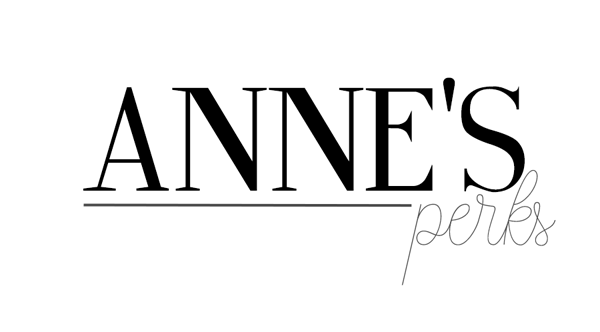 Last but absolutely not least comes Anna from The Anna Edit, Anna is my all time favorite British blogger. I love all of her videos, they feel super real and she really makes all her viewers feel like we are her friends. I love her minimalist, Scandinavian inspired, black from head to toe style and her minimalist makeup looks. She is really an inspiration when it comes to minimalism regarding any aspect of life. 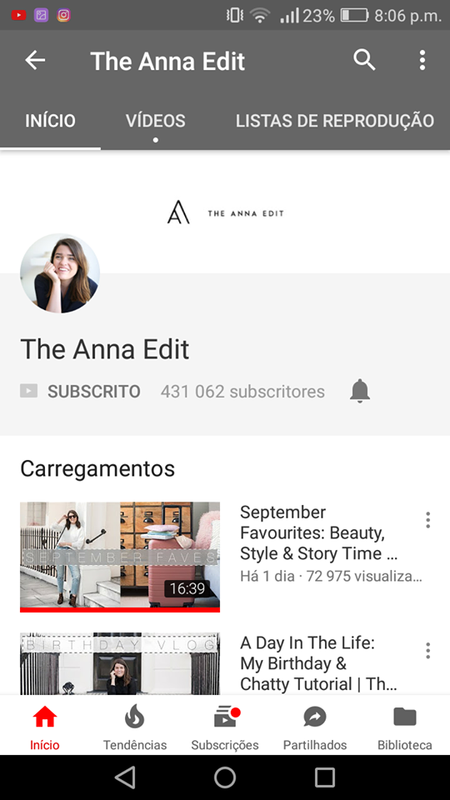 She is one of my favorite creators of all time and I really recommend that you subscribe to her channel if you are into minimalism, capsule wardrobes, and super fun 20 minute long vlogs. Those are the 5 youtubers I am totallyobsessedd with at the moment! I really hope you guys liked this post and please let me know who are your favourite content creators on youtube! Fiquei curiosa com todas !! Já vou ter que ir ao youtube ver essas youtubers fantásticas! Que tipos de youtubers segues?